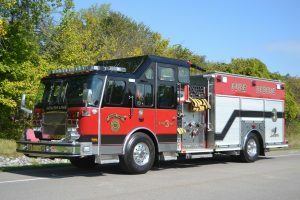 Engine 3 features an enclosed top mount pump panel as well as 2000′ of 4″ LDH, 500′ of 2 1/2″ LDH, and 500′ of 1 3/4″ Hose. 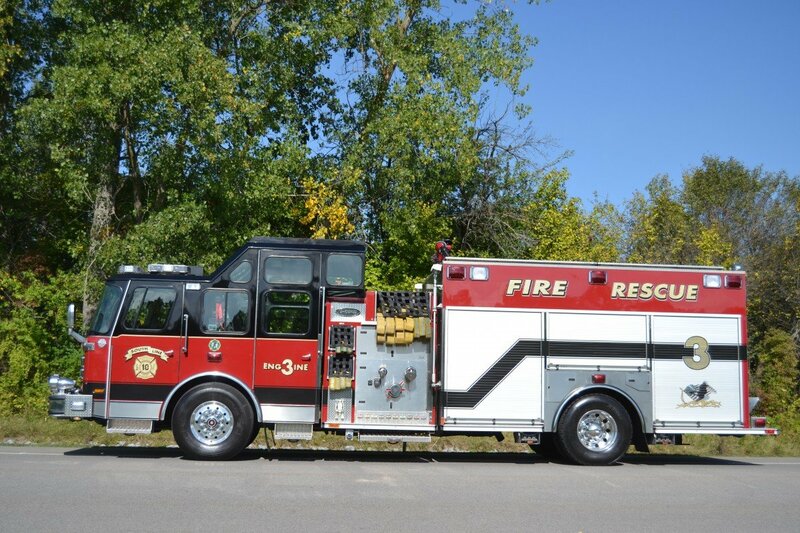 Engine 3 also carries multiple different lengths of 1 3/4″ and 2 1/2″ crosslay and speedlay hoses, Portable Powered Rescue Tools, Various firefighting hand tools, Hi – Rise Hose Pack, Smoke Ejectors, and other EMS related supplies. should arrive in late 2018 or early 2019.